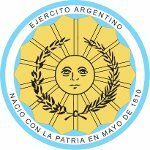 Argentine Army Day is celebrated on May 29. The holiday commemorates the official foundation of the Argentine Army in 1810, four days after the overthrow of the Spanish colonial administration in the city of Buenos Aires. The Argentine Army was formed out of several locally manned regiments and colonial militia units. The most famous regiment probably is the Infantry Regiment “Los Patricios”, the largest and most powerful unit that participated in the defense of Buenos Aires during the British invasion of the Río de la Plata in 1806–1807. By the way, it is still an active unit. Throughout its existence, the Argentine Army has participated in the Spanish American wars of independence, Portuguese conquest of the Banda Oriental, Cisplatine War, War of the Confederation, Uruguayan Civil War, Platine War, Paraguayan War, Conquest of the Desert, Dirty War, Beagle conflict, Falklands War, Gulf War, and UN peacekeeping missions. It played a major role in the 1966 coup and establishment of the military junta. Currently, the Argentine Army is the country's senior military service. As of 2014, its active element numbered about 38,500 military personnel, while the number of reservists was 16,000.